The first time I raced against you was probably Pangbourne Long Distance Sculls in 1979, you are a year older than me. In 1979 I was the junior GB single scull, but I was trying to get selected in our Great Marlow School four. One guy only had one year left as a junior, and so that it was never going to last any longer than that. 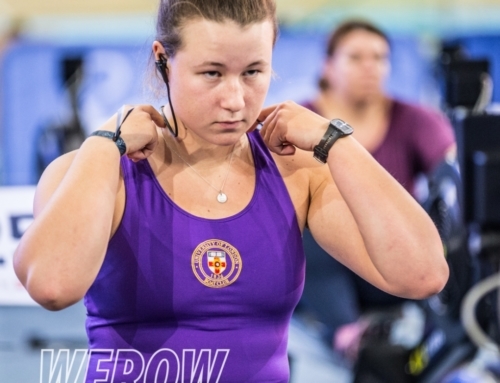 We ended up having to go to National Championships, race the National four they wanted to select, they wanted me out the Marlow four to put me into another boat, and I refused to do that. We had to beat the four in the National Championships to have a best of three on the Monday after the National Championships, and if we lost, that was it. We broke a seat in the race, and so never completed the course. And then I was also entered in the single – it was very emotional. Somebody else had rowed my single up to the start for me, I got to the state boats on the pontoon, raced down, won by I don’t know how much, and then got selected for the spare man single sculler to go to the Moscow Juniors World Championships in 1979. The last time I raced you was the first running of the Queen Mother Cup at Henley Royal Regatta in 1981. I was in the GB Junior J4x with Brian McMullan, Neil State and Matthew Allwork (sadly now deceased) and you were in the Senior M4x with Eric Sims, Adam Clift and Julian Scrivener. You and I were the first up the course. We wanted to break all the records…set all the records which we did when we beat you but they lasted for an hour as we got thumped by the Germans in the final! 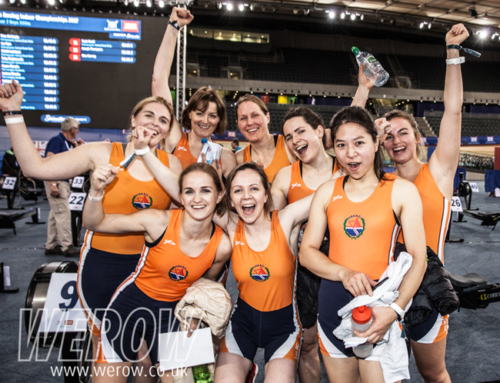 There has been a lot of criticism on social media recently speculating that the squad system might be killing club rowing. The problem is you can’t have your cake and eat it. Is that, if you want a strong national team, you’ve got to try and get the…find the talent to be part of that team, and we’ve done that extremely well over the last few years. 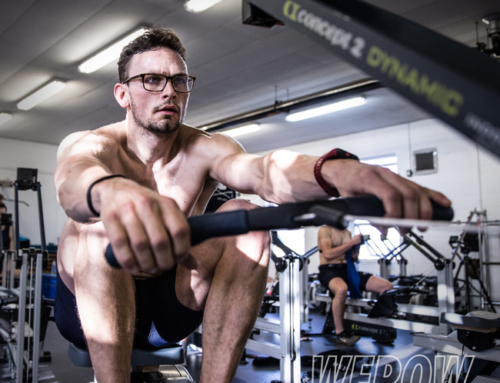 Club rowing has a big problem – if you’re a good oarsman, and you come from somewhere like Rob Roy and you’re the only really talented person in that setup, you want to row with the best people. So you’ll then tend to move, as Richard Stanhope did move, from Royal Chester down to the London area, to be part of the national team. That’s obviously going to make Royal Chester weaker because that person isn’t there. And then Leander gets accused of pinching talent from all the other clubs. The fact is that people want to go and row at the top clubs like Molesey, London Rowing Club, Thames Rowing Club. It tends to be, at the moment, more about the club level, because people want to row with the best – they want to try and win things. Every now and again, somebody that wants to stay in their region and be part of that, but that should be their choice from that. When you’ve got people then leaving school, going on to university they’ll pick universities that row, to a level they want to compete at, to take them to the next level. A few years ago, we had a lot of people that wanted to go to Durham, because Durham’s a very good rowing setup. And then the problem is, if you’re doing a four-year course because the national team is so strong you’re not gonna get a look in your first couple of years. Year three and four, you may get a look in but then you’re living the other side of the country. It’s the same thing with the American scholarships, there’s a lot of American scholarships about. 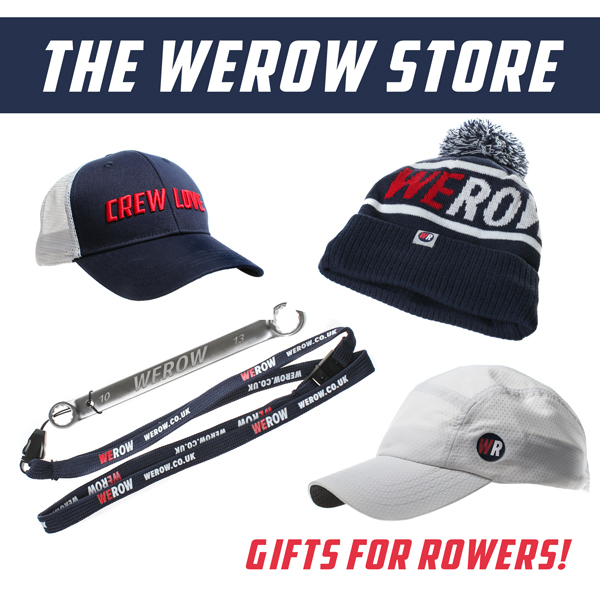 As a kid coming out of secondary education being offered a top scholarship by an American university on the basis of your rowing ability is tempting. Of course, you’ve got to look at that, you’re going to come out with a very good degree but if it’s the national team you want to be in you might possibly do under 23’s but you can’t do the senior team. So your last one or two years at a US university could be a problem, so you have to be aware of that. I read somewhere that you gave your life, sort of, 4 out of 10. Did it bother you in your early days that you that you hadn’t come up the private school and university route? At the time, didn’t really worry me, and even now doesn’t worry me. I used to love all sports. I was a reasonable sprinter and, sort of, did district championships and elements like that, because I was quite powerful as well. I was quite good at the discus and shot put, couldn’t throw the javelin to save my life. I was a relatively a natural’ish sportsman. My school was a football school, but probably better suited to rugby. The head of the English department, Francis Smith had two loves, one was rugby and the other was rowing. And he used to take the Great Marlow School Old Boys to rugby. I played for them a couple of times when I was still at school because of Francis. But his biggest love was rowing, he came across rowing, I think, at Reading, when he was doing his teacher training. And he used to go around and ask a few individuals if they wanted to try the sport of rowing. And I hated school, academically I wasn’t the sharpest, and so anything to get out of academia, I would try and do. We used to have house cricket in the summer, and even if it wasn’t my house that was playing, I would be trying to be the scorer, so I could be there, any reason for not going. So being offered the chance of going out on the river during the school time, was a no-brainer. It wasn’t about performance, it wasn’t about racing, Marlow Regatta was the biggest one-day regatta in the world in those days, but to a kid growing up in Marlow, it was the fun fair, it was a party town, it was all about the fun side of it, you know, there were people out in boats. It didn’t even cross my mind that that was for me. But Francis sort of got me out in a boat, and I adapted to it quite well and easily, and that then started to sow the seeds of what was possible. It was an Olympic year, 1976 and I think we got two silver medals, possibly a bronze as well. And that didn’t really have an impact on me, but certainly in the next two years, sort of aged 15, 16, people from Marlow Rowing were saying to me, and these were people who were coaches on the national team, saying, “One day, you could be a world champion.” And I thought, “World champion? Why not Olympic champion?” So that’s where I got the focus on the direction I was gonna go, from about 16 years old. And the so-called class system of a comprehensive state school to public schools just wasn’t an issue to me. It was frustrating that we couldn’t race at Henley because there were four rowers in my year group so we did a coxed four. 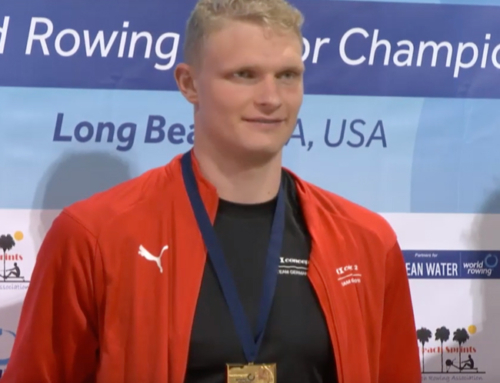 And so Henley was never on our radar because we couldn’t do it, and now with the position that I am in, I want to try and make sure that everyone gets the opportunity to race at places like Henley. Because we used to win most of our races it was never really an issue anyway. It wasn’t until later in life where had your Eton’s, Radley’s and Shrewsbury’s where the first four athletes were in the eight, the second four athletes were in the eight, the next four athletes were in the second eight. And so we would be racing in a four so the weaker private schools would be fielding their third-string four, if they were just doing fours. If it was somewhere like Eton, you’d be racing their seventh best four. So that’s why we used to win races because we weren’t racing the best. We won the majority of our races, success breeds success. So when we would enter races where we were head-to-head, we believed that we were going to win, because that’s what we do. And so that’s where, sort of, it’s not always about ability, even though that we had a reasonable amount of ability, it was the belief of what we were doing and what we could do. Clubs like at Henley Rowing Club for example where they have a tremendous work ethos that you perhaps don’t see in a lot of other clubs, and you see them out on the river, and they’re working hard and they’ve got ambition. So you had an attitude, a winning attitude? It goes through different phases. Sir William Borlase’s in Marlow, they were a joke when I was rowing even though they were the historic rowing school within my town. And now of Marlow and Borlase’s have in recent years been in four Fawley Cup finals at Henley, Borlase’s winning two, Marlow winning one. You’re thinking, how can Marlow produce that sort of quality? There’s something right. It’s enthusiasm, it’s a rowing master, it’s somebody that gives that passion. It’s showed me is that there is loads of talent walking around our streets, people that are capable of doing great things, but a lot of people don’t find the opportunity to flourish. Do you think there is an overemphasis on scouting for 15-year-old, six-foot-three, big hands, big feet is kind of sending a slightly skewed message. 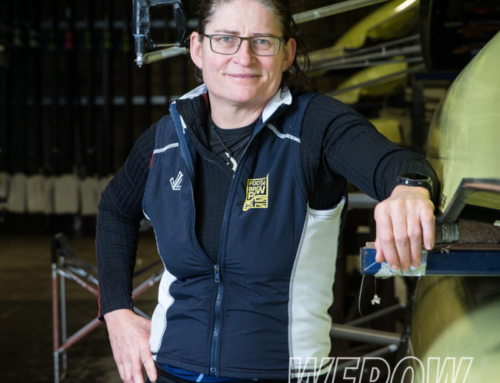 Don’t we want rowing to be as inclusive as possible? There is a sport out there that suits every physique, and that if you find something that you enjoy doing, you tend to be good at it and vice versa. So rowing is very much a performance sport. British Rowing have tried many times to get the social side working. The Germans have been promoting tour rowing – we get them over here, coming down the River Thames. They stop off at Leander and Marlow Rowing Club and the like, and they just enjoy rowing. The structure of our sport is racing, and the ultimate goal of racing is to win the Olympics. If you win the Olympics then your sport gets more money. And so, if it is a problem, it’s not a rowing problem, it’s a UK Sport problem – that is if it is a problem. In the ’70s, ’80s, when we were in the sport, trying to make our way through, we had amazing athletes, but not always in the right sport. So somebody like Richard Stanhope would’ve been a better triathlete than he would be a rower. But he’s got Olympic silver medals and two World Championship silver medals, because of his attributes that he had. So, does he regret it? No. Has he been World Champion at triathlon? Yes, in his age group. So is that society’s problem, or is that the sport’s problem, what is that problem, or is it just the nature of the world? We don’t have very many basketball players that are under six foot. So are you being penalized for being 4 foot 11? You go towards things that suit you. And actually, I believe that’s where rugby and American football, in certain aspects, is a great sport. In order to build a team you need all shapes and sizes and different abilities. You have previously said you were from a socialist family. How much does that play a part in shaping your beliefs today? I just think I was shaped by life’s experiences in some ways. I was probably brought up in a middle-class surrounding, even though that my grandparents were all working-class and my parents were working-class at the beginning of their career. My father went into the Merchant Navy, wanted to travel the world, came out of that, got married soon after, and started his own business. He didn’t want to work for somebody else, he had his own building business but was also working for the gas board on nights as well, just to sort of raise the standard up in some ways. I’ve got two elder sisters, so they probably saw life very different to how I saw life. All three of us went through comprehensive education and my eldest sister who is 9 years, 10 years older than me, when she left school, said “Right, what are you gonna do?” She says, “I want to be a beautician.” So she went to college for two years to study that, and then, “Okay, now you’re gonna go to work,” and that was their attitude. She was a pretty good runner, but sport wasn’t for women at that stage, it was a non-starter really, and my other sister, who’s five years older than me, was a very good backstroke swimmer, but the opportunities weren’t there for them, especially with the education that we had. And because I stumbled across a sport and was doing quite well at it, my parents’ outlook was, “How can we support Steve to carry on doing what he’s doing?” So, life experiences on all those accounts. And then, when you do get known, you do get, then, asked for your opinion. I would never say boo to a goose when I was much younger, and through the sport, sort of, given a lot of confidence in, even though didn’t really…I had a grade 1 at CSE in woodwork, it was my best result at school, but I’ve been an advisor to the last four governments. Yeah, possibly. From every avenue. Any advice for young rowers who are looking to a squad career, looking up at some of their heroes at the moment? It’s about enjoying what you do. As we’ve discussed previously if you’ve got the physique to do well at something, you’ll get more out of it. That’s no guarantee that you’ll make it within that sport because there are lots of other factors. But it’s also about how much heart, how much passion you’ve got. If you enjoy something, you’ll do more of it. I used to make my dad take me fishing when I was a kid, because that’s what kids did with their fathers. Years later he told me he used to hate fishing! I hate fishing as well. But that was something that you did. And because we didn’t enjoy it, we didn’t follow it on, and we didn’t go through with it. So if you enjoy something, you’re going to turn up at the boat club a little bit more often, do a bit more training. If you do a bit more training, you’ll probably be a little bit better at it, and it spirals in the right direction.